Over the past month or so, we’ve been trying to be a bit healthier and happier in our lives and at home, including when it comes to Courage. 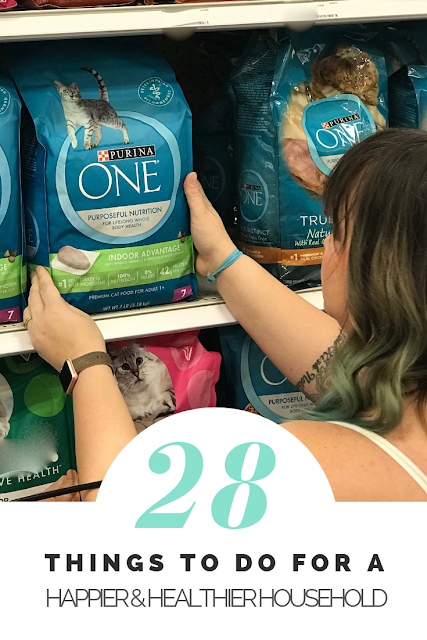 Alongside getting in some physical fitness and doing things that make us happy, we’ve also been pursuing the 28-day challenge for Courage, including making a switch to Purina ONE®. 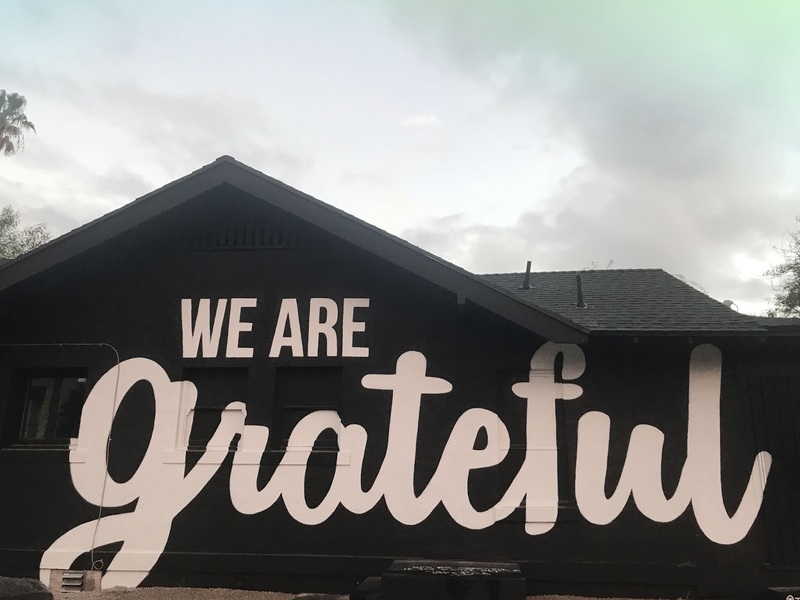 I’ve included 28 things below that we’ve been doing for healthier and happier homes and to be healthier and happier in our lives overall, and maybe some of these ideas will also work for you and your pets. Check it out! Hover over the picture above to shop this post. 1. Walk/physical activity - get it in however you can. I try to get in at least 10,000 steps most days. I may do this by walking around Target (my fave) or even walking in front of tv when I get home from work. Sometimes, I even go to the gym and survive through 30 minutes of torturous high-intensity interval training (HIIT). 2. Ditch the soda - look, I love soda and I'll get it when I go out to eat, but we try not to keep it at home, or else I'll guzzle all the sodas down! 3. Don't force restrictions on yourself. I know I'm worse about my eating habits when I really try to list out what I can't eat. 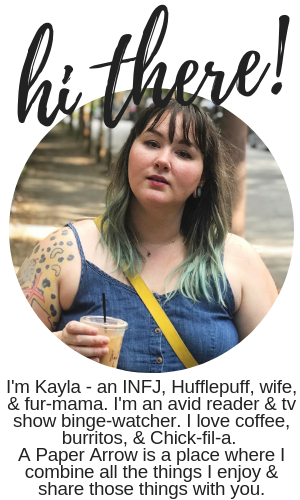 I'd rather eat what I'd like to, but find a good balance. 4. Yoga, anyone? Yes, yoga is technically physical activity but it's also a great way to relieve stress and center yourself. 5. Stand up. My smartwatch helps with this, but it’s so important to stand up throughout the day. 6. Breathing and meditation. Meditation doesn’t always work for everyone, but focusing on your breathing a couple of times of day can help you relax. There are so many great apps that also provide a visual for you to focus on as you match your breath to the visual. 7. Rest. Everyone needs different amounts of sleep, but you find what works for you and what makes you feel best. I'm also a super fan of naps. 1. Make the bed. It drives hubby bonkers, honestly, but I make the bed every single time we get out of it. 2. Have fluffy spaces that make you happy. Whether it's a sofa loaded with cushions or a reading nook with a beanbag - get comfy in your own home. 3. Don't fret over cleaning daily. Yes, wash the clothes and the dishes. Take out the trash. But you're not dusty regularly? Who the heck cares? 4. Decorate for the holidays and seasons you love! I throw decor up for everything from Valentine’s Day to Halloween. And apparently there are studies that say it makes you happier. 5. Rearrange your furniture from time to time. If your feel like you’re in a rut, moving your sofa may make home feel totally new and exciting. 6. Give your space some good smells - we love wax melts and candles. I prefer fresher scents, not so much the sweet bakery smells. 7. Keep the temperatures comfortable. When hubby and I first moved in together, we never wanted to run the thermostat - for either heat or chill. What we came to find out is we weren't actually saving much money - we were just sweating or freezing to death. Our home is definitely better with climate control. 1. Don't sweat the small stuff - I need a reminder every minute of everyday, but in the grand scheme of things, how impactful are the tiny things stressing us all out? 2. Cut yourself some slack when things don't go as planned. 3. Do the things you love, whether it's reading or watching tv, playing video games, or taking nap - do what feels best you. 4. Forget about society's expectations - I'm a weirdo and I'm proud to do the things that make me happy, even if they're goofy as all heck. 5. Treat yourself how you want to be treated - okay, so self-care isn't all about baths and face masks, but those things don't hurt if you enjoy them. I know I sure do. 7. Be gracious with yourself and find love within yourself. Okay, this isn't like an overnight thing. It takes time and it's probably never 100% (at least not with me). But allow yourself to make mistakes and don't judge yourself based upon others. 1. Give your pets special things, like nice water and food bowls, and cozy clothes. 2. 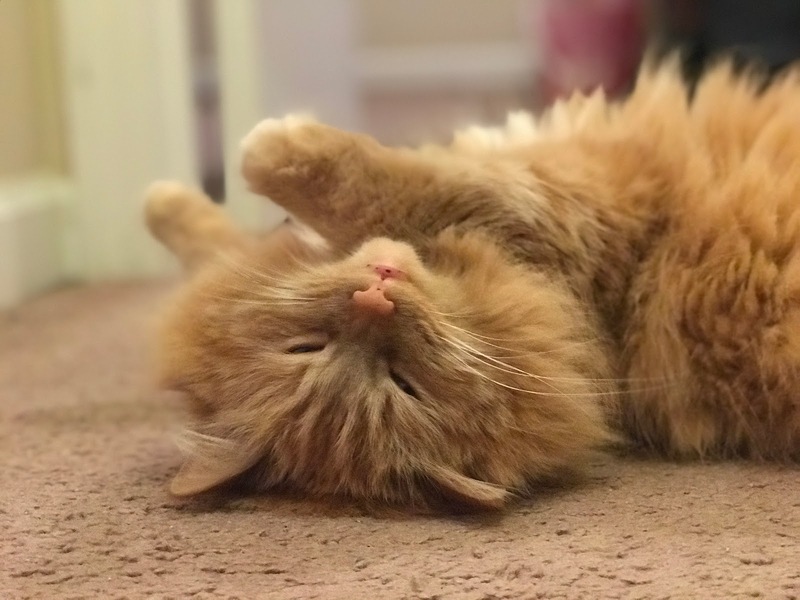 Give pets their own space, and give them space when they want it (cats, I'm telling ya - they definitely want their space at times). 3. Give them toys, or let them make their own (safe for them) playthings. Courage is a big fan of bottle caps, but also really loves her play-mat with hanging toys. 4. Change out their water often, and sometimes treat them with bottled water (you so fancy and so is your kitty or pup). 5. Let them cuddle. I let Courage on the couch and the bed. I know many folks are not fans of pets on the furniture, but it honestly just makes sense to me to let them have all the cuddles they want and be just as comfy as us humans. 6. Brush them and groom them in ways that make them feel comfortable - do what you can to make them less anxious in their groomings. 7. Give them food that makes a difference - Purina ONE® is formulated with high quality real meat, poultry, or fish, which helps support strong muscles and a healthy heart. With Purina ONE®, every ingredient has a purpose - with a mix of vitamins and minerals that are design to provide balanced nutrition, Purina ONE® is crafted to make a noticeable different in your pet's whole body health. Products come in wet and dry varieties for both cats and dogs, in formulas for all life stages. 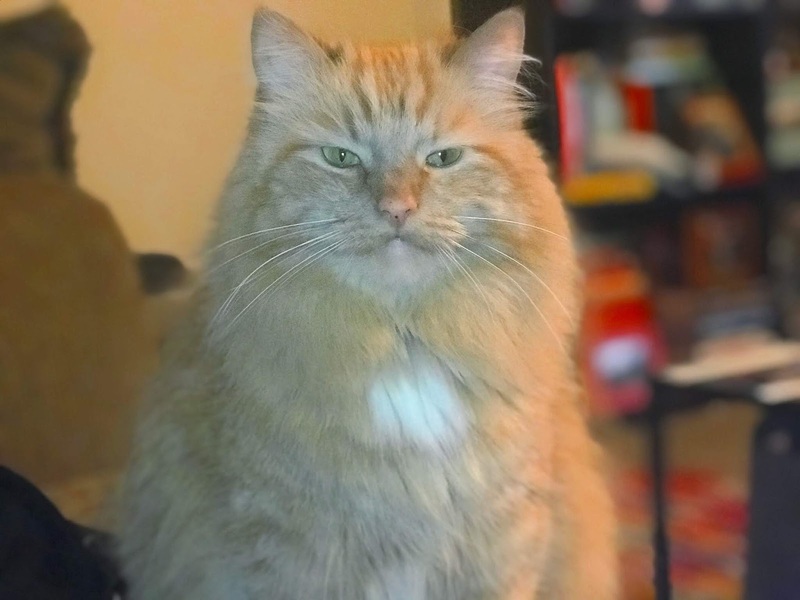 For Courage, we've been trying out the Purina ONE® 28-Day Challenge. 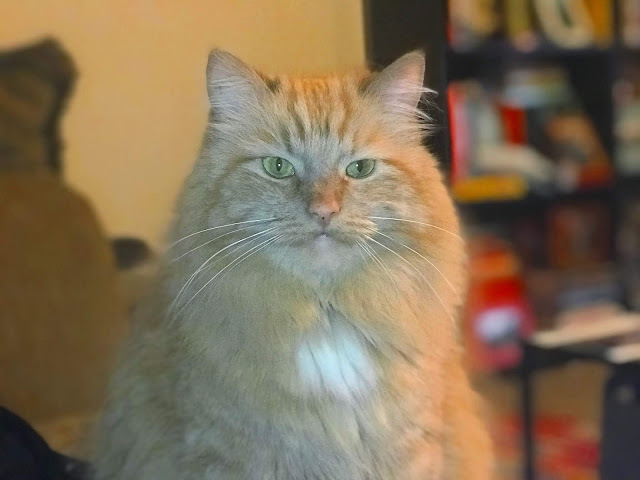 We recently switched to Purina ONE® Indoor Advantage Adult Premium Dry Cat Food for Courage, which is a hairball formula. 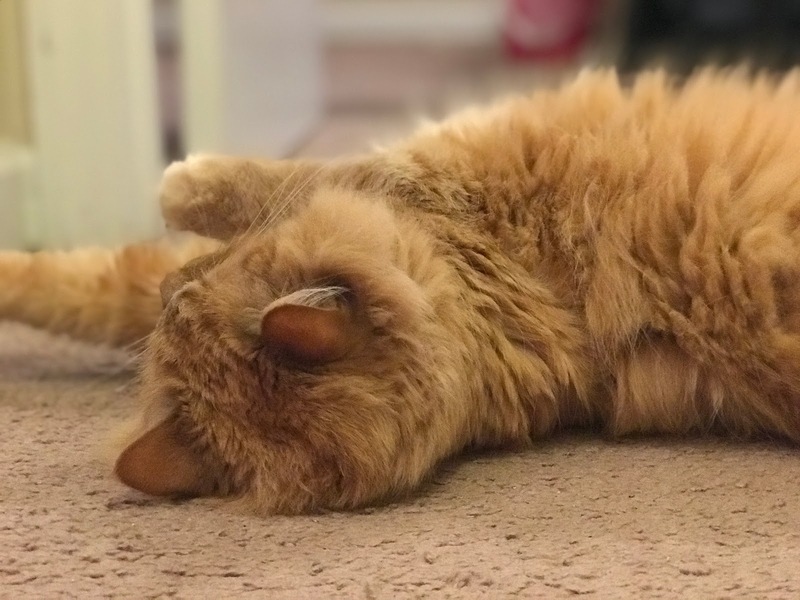 Since she's long-haired, hairball formula is imperative to prevent her hairballing all over the place (yikes!). 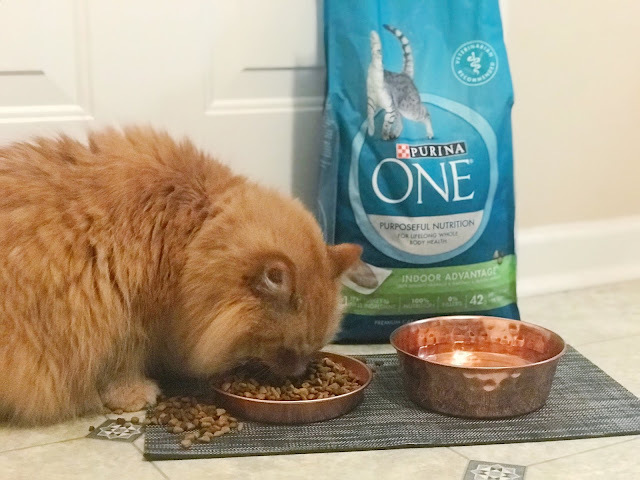 Anyways, the Purina ONE® 28-Day Challenge could make a big difference in the life of your pet. After two weeks eating Purina ONE® Indoor Advantage Adult Premium Dry Cat Food, we definitely saw Courage with more energy and after 24 days, Purina ONE® could create a stronger immune system in your pets. 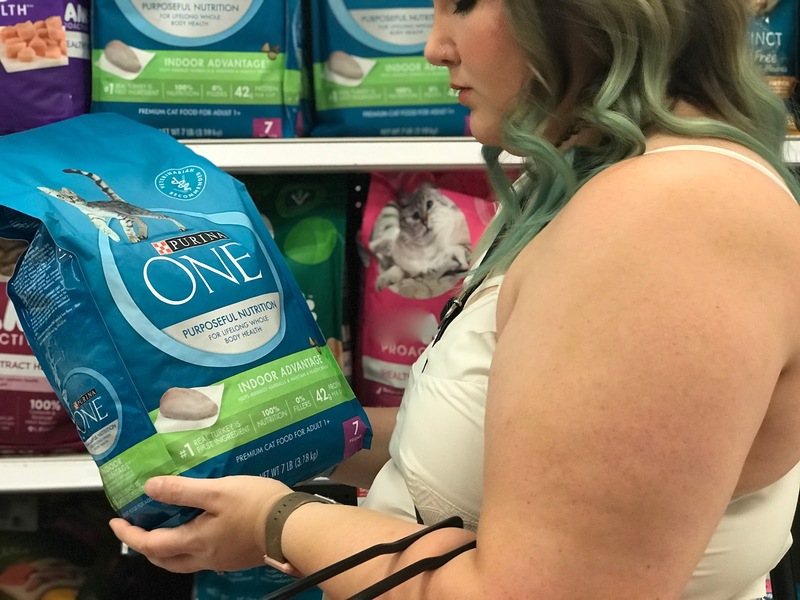 Sign up for the Purina ONE® 28-Day Challenge and get a $3 off coupon and a personalized food recommendation for your pets. 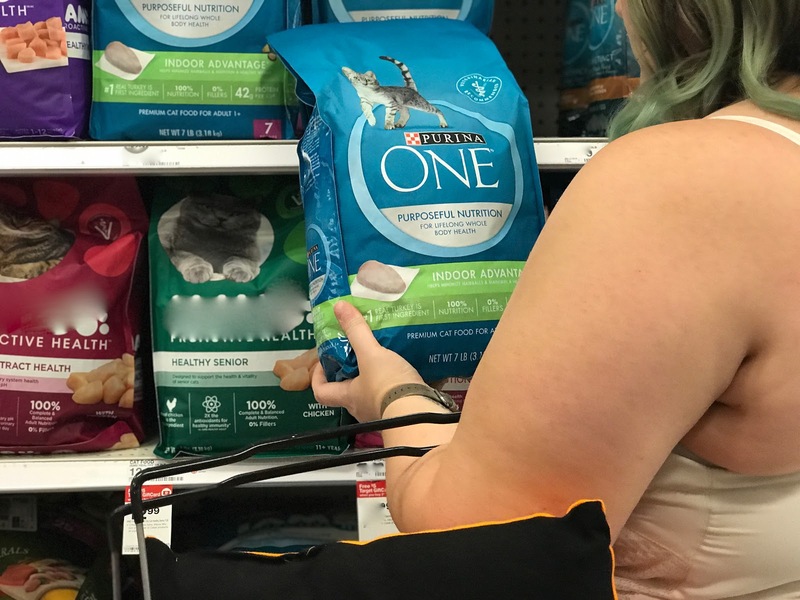 Plus, between 10/7 - 10/13 - check out the temporary price cut on Purina ONE® Dry Cat Food - purchase two (2) 3.5lb bags of Purina ONE® Dry Cat Food for $15! AND get a FREE $5 Target GiftCard with a Purina purchase of $25 or more. 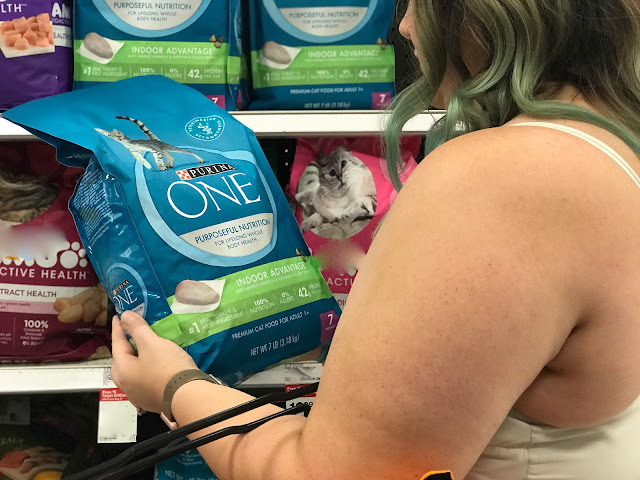 If you tend to shop online instead of in-store, get 5% off plus free shipping when you subscribe to Purina ONE® at Target. 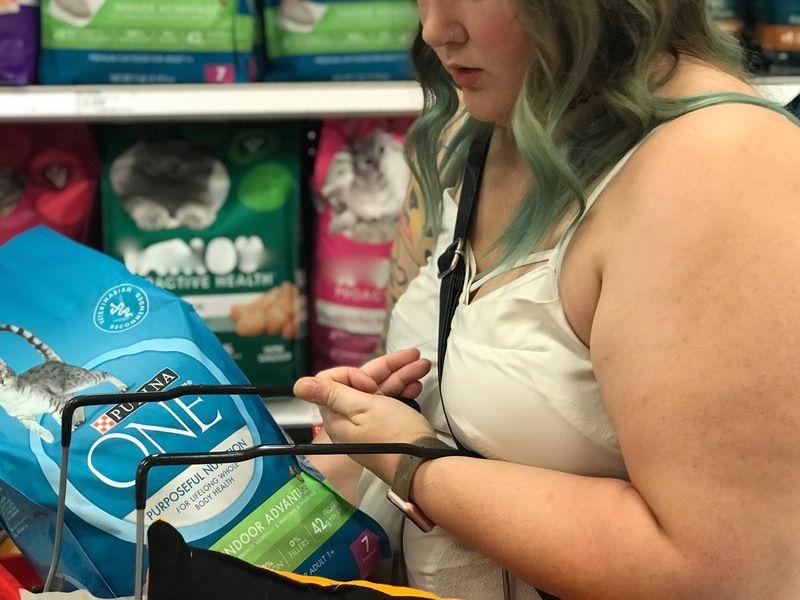 If you're interested in more tips and tricks about how Purina ONE® could help make your pets' lives a bit better, check this link out. What do you do to bring happiness and healthiness to your home and life?